Staying at the #beach instead of heading out to the #desert for #festivalseason ? Us too! 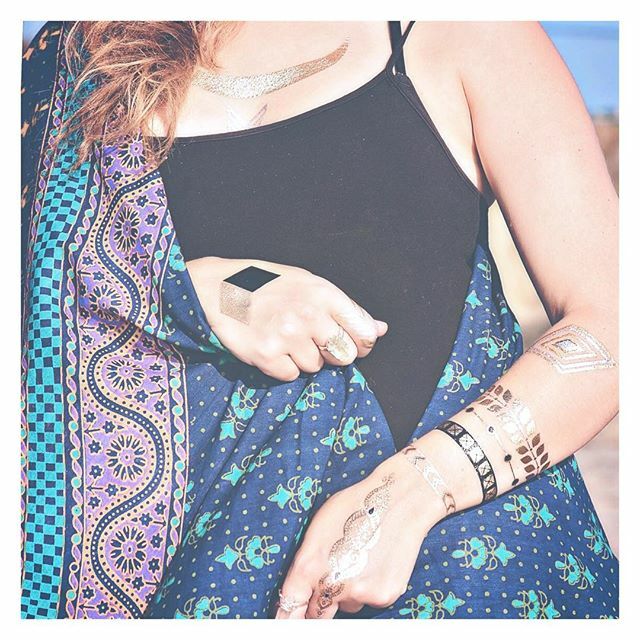 #flashtats #tapestries #prettyjewels and the #ocean are the perfect ingredients for your own #diyfestival . Get out there and enjoy the #sun ! !